PlantingScience (PS) is an online platform where middle and high school students reflect with scientists on plant-based research projects designed and conducted by the students in their classrooms. Free modules for organizing this research and sustaining the student-researcher interactions are available at www.PlantingScience.org. ASPB has officially partnered with PS since 2006, and has sponsored 12 members of the Masters of Plant Science Team (MPST) annually since it was established in 2008. The MPST is a special cohort of graduate student and post doc plant scientists who mentor PS students. MPST members are selected upon successfully completing a competitive process to demonstrate their ability to collaboratively engage and guide the students through the PS research modules and the online platform. These collaborations rely on clear, engaging, time-sensitive, and non-directive communication with the students and to a lesser degree with their classroom teachers. Along with helping highly-motivated students conduct meaningful research, the MPST members also enrich ASPB by contributing to an active cohort of Society members working to support future participants in the field of plant biology. 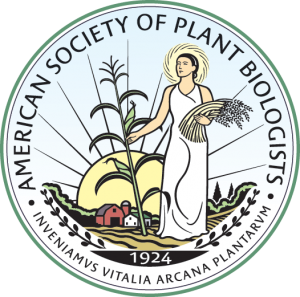 MPST members are awarded a year’s free membership to ASPB and 50% off registration for the upcoming Plant Biology annual meeting. The Transforming Education in Plant Biology (TEPB) program offers financial support to successful applicants (ASPB members) to participate in focused, substantive, and practical professional development with the aim of developing undergraduate plant biology instructional materials for an active learning classroom. In the United States, the American Association for the Advancement of Science (AAAS), the National Science Foundation (NSF), and other stakeholders have called for transformation in undergraduate biology education via the Vision and Change report. The core message of the Vision and Change initiative is a focus on student-centered learning with students as active participants. Some of the key features of this initiative are: i) ensuring that courses are outcome oriented, inquiry driven, and relevant; ii) providing research experiences for all students; iii) using multiple forms of instruction; and iv) giving students ongoing, frequent, and diverse types of feedback. The American Society of Plant Biologists (ASPB) has developed the Transforming Education in Plant Biology (TEPB) program to help put these recommendations into practice via development of new instructional materials in plant biology aligned with the ASPB core concepts in plant biology. TEPB is particularly well suited to faculty who are planning to build or revise courses or curricula in order to incorporate evidence-based methods of teaching and learning. TEPB awardees will receive up to $4500 (reimbursable or direct-pay to professional development program) for registration and travel to the professional development program and to the ASPB annual meeting. View additional information on the TEPB and download the full RFP here. The Promoting Active Learning & Mentoring (PALM) network was established to spark sustained biology education reform at diverse institutions through one-on-one mentorships for faculty new to approaches based on Vision and Change recommendations. PALM provides faculty and postdoctoral fellows with resources that allow them to gain hands-on experience and mentorship in bringing evidence-based, effective active learning strategies into their own classrooms. The longer term goal is to lead enduring change that will positively influence the teaching culture at each PALM fellow’s institution. Fellowships application deadlines are each January and June. PALM fellows are awarded up to $2000 for mentoring visit expenses. There is a $500 mentor stipend. The fellow and mentor can be reimbursed up $1000 for travel to professional society meeting(s) to present outcomes. Plant BLOOME—Managed by the ASPB Education Committee, the Plant Biology Learning Objectives, Outreach Materials & Education (BLOOME) Grant funds projects to advance youth, student, and general public knowledge and appreciation of plant biology. The current maximum budget request is $50,000. Since 1995, ASPB members have been awarded this grant for developing education and outreach projects that advance youth, student, or general public knowledge and appreciation of plant biology. See below for blurbs about recent projects. Information on Plant BLOOME grants (called ‘Grant Award Program’ or ‘Education Foundation Grants’) that were awarded prior to 2014 is archived in the ASPB News. Potential BLOOME applicants who wish to interact with BLOOME PIS to glean insight and ask questions may request admission to the BLOOME PIs user group on Plantae. The ASPB Plant BLOOME award and the support that I have received from the CRC will help me to design ten Chlamydomonas– based new, inexpensive, hands-on activities for K16 Biology education. These activities will be incorporated in Biology classes in nine schools and in two local universities in Georgia and, to teach a new upper level “green” molecular lab course at the University of West Georgia (UWG). The project will target approximately 1,250 students. Designed lab activities will be disseminated via ASPB, Plantae, CRC and my UWG research laboratory websites and at the ASPB and NABT meetings. We will share with the west Georgia community how “pond scum” is used by plant biologists, neuroscientists, medical and renewable energy researchers via the free Wolf Science Cafe events in Carrollton, GA. 90% of Biology students want to pursue careers in health-allied field and, seldom appreciate plant biology in their curriculum as they are not shown the intra- and inter-disciplinary nature of the 21st century Biological science. I am greatly appreciative of the ASPB Plant BLOOME award as it will help to make students appreciate plants and, demonstrate to them the intra- and interdisciplinary nature of Plant Biology. Above all, I am super-excited about the Plant BLOOME award as it will help to make Chlamydomonas(“green yeast”), a “rock star” to plant biology educators. Anna Elisabeth Backhaus, University of East Anglia, Norwich, U.K.
Isotta Reichenbach, University of East Anglia, Norwich, U.K.
An additional benefit of this project is its unique cross-curricular integration of knowledge. Anna is a student in the School of Biological Sciences and Isotta studies in the School of Literature, Drama and Creative Writing. This project will bring together plant researchers with education experts in the development of resources designed to engage students and the public in learning about how plant research impacts our lives. This will be accomplished through a partnership between PhD Fellows, faculty and staff at the Center for Applied Plant Sciences (CAPS) at The Ohio State University and educators from the Center of Science and Industry (COSI) in Columbus, Ohio. An interactive videoconferencing (IVC) program offered through COSI, which will remotely connect plant researchers, educators and students for a live hour long program. The IVC program will be developed for middle and high school classrooms and be piloted in Central Ohio. Tomatoes are an excellent model system for teaching concepts of genetics because of their vast diversity in traits such as color, size, shape, and flavor; their familiarity as a food; and their importance as an agricultural species. For the past five years the Muday team has successfully implemented a service-learning program (SLP) that teaches genetics using heirloom tomatoes in an active-learning curriculum. This SLP trains undergraduate students enrolled in a non-science majors’ introductory biology course in the SLP curriculum and takes them to middle and high school classrooms to lead the younger students through the curriculum. Although this curriculum has been effective at teaching undergraduates genetics and biotechnology, which has been documented through publications, the assessments have demonstrated that this curriculum is not leading the students to make connections to real world issues that build on plant genetics. So the team will retain this effective model of undergraduates teaching over 1300 local school students each year, but plans to update the curriculum to help students better see how plant genetics is pertinent to their world. This project will create a user-friendly field guide, with accompanying K-12 lesson plans, for identifying Idaho grasses and grass-like plants, intended for K-16 educators and students, ranchers, land owners, recreationists, and nature enthusiasts in Idaho and adjacent states. In the form of both a printed book and an offline app for iPhones and Androids, the guide will include colorful images showing detailed characteristics and vegetative features of each grass, an easy-to-use dichotomous key, and information on each plant’s history, forage value, fire resistance, and other details. The team will select, locate and photograph 60 individual grasses, compile information about each plant, design a user-friendly identification key for those with limited background in botany, and develop K-12 lesson plans. Working with an app developer, they will create an offline app identical in content to the field guide. This dual resource will meet the needs of land managers making economic decisions regarding livestock production and field treatments; university students in wildlife and range sciences conducting class exercises and field research; K-12 educators during field botany excursions, teaching the use of dichotomous keys, and ecosystem studies; and recreationists engaged in nature study. Both book and app will be distributed via the University of Idaho Rangeland Center and the Idaho Range Resource Commission. The guide will be promoted via each center’s website and newsletters, as well as to extension offices, 4-H groups, local media, and school districts. To evaluate the guide’s functionality, guide books will include addressed, postage-paid survey postcards and the app will provide a link to a Qualtrics online survey. Selected individuals from each intended user group will be interviewed before, during, and after using the field guide to gather feedback for the purpose of improving subsequent editions. Lesson plans will be tested and evaluated by teaching staff at the McCall Outdoor Science School. Eva’s team will create and maintain a web page directly related to the development of the Field Guide to Grasses and Grass-like Plants of Idaho. This project page will reside on the Idaho Rangeland Center web site. The primary educational goal is to broaden access to plant biology information through museum-type exhibits developed by students in a service-learning plant physiology course. There is a general lack of quality plant science exhibits accessible to the Huntington community and southern West Virginia (WV). Develop interactive exhibits to educate and stimulate public interest of plant biology. Offer a service learning plant physiology course that will develop the materials for each exhibit in collaboration with a local organization. Display each exhibit at local venues annually, and establish other venues within WV. Broaden dissemination of the exhibit content using internet resources, presentations, and publications. presenting materials at community events, on YouTube, the PlantED Digital Library, and at conferences. piloting preliminary project components at a community event for the May 18, 2015 Fascination of Plants Day. A new website with video to accompany the display is available already. New material will be added to this site as it becomes available. In this program, a professional learning community of Teacher Fellows, Cary Institute scientists, and educators will develop a robust curriculum module focused on five key ideas concerning the ecological significance of tree species differences. A learning progression that describes how middle and high school students develop more sophisticated understanding of biodiversity will be integral to the SWESP module. The primary goal of SWESP is to increase teachers’ and students’ understanding of schoolyard tree diversity so they can develop and test claims that compare functions and services between different communities over time. The project will help teachers establish long-term schoolyard study plots, and then use these plots supported by a curriculum (lesson plans, data collection protocols, guidelines for statistical analysis, background information, and real-life applications) which engages students in primary research. Teacher Fellows will pilot the curriculum with their students and then train other area teachers during a 2015 Summer Institute. Evaluation will be done through formative and summative assessment of teachers and students (surveys, content knowledge tests and authentic artifacts). The SWESP team will seek to publish evaluation results in education journals. SWESP will be disseminated and sustained through the Cary Institute and their partners’ websites and by training additional students and teachers to use SWESP as part of the Institute’s ongoing programs. Plant Educational Experience in Research (PEER) at Northern New Mexico College a Boot camp/Outreach Program. Increase the number of Hispanic and Native American students intending to pursue higher education, particularly in science. Boost the recruitment and retention of the current NNMC Biology, Chemistry and Environmental Science undergraduate student population because of their involvement with the PEER outreach and Boot Camp. The PEER team will disseminate their experiences, materials, and approaches in national science and education meetings. PEER mentors will present seminars or posters annually during the NMMC symposium. A PEER program website will promote student-to-student interactions and archive the program’s multidisciplinary, bilingual and bicultural story. Phase 1 of this project identified and addressed specific gaps in the teacher training and student learning opportunities available for plant biology and biotechnology in Ghana. The project’s new website offers some of what has been developed; more will be posted soon. Phase 1 stimulated curiosity and revealed misconceptions about biotechnology and genetically modified organisms (GMOs) among teachers and students. So Phase 2 will respond to the crucial need to provide intensive education about modern biotechnology. Phase 2 also will expand the program to infuse modern biotechnology, biology and integrated science curriculum throughout more schools across Ghana. Evaluation results and resources will be disseminated with an eye to revising Ghana’s entire science curriculum. The Phase 2 team will communicate with the Ghana Education Service, the Ghana Ministries of Education (ME), Environmental Science, Technology and Innovation (MESTI); the Director General and Director of Education of the Council for Scientific and Industrial Research (CSIR) Ghana, the Parliamentary select committee on education; the Ghana Association of Science Teachers (GAST); Science, Technology and Mathematics Innovations Education of Ghana; the International Training and Educational Consultancy program in Ghana; and the USAID representative in Ghana. Project information also will be shared with the West and Central African Council for Agricultural Research and Development biotechnology platform to encourage program adoption in the West African sub-region. Join Plantae and search for (or contribute) additional Public Engagement & Outreach Resources vetted by the plant science community.